A beautiful 17th Century Cotswold stone house with original features, stone floors and oak beams, Cowley House is situated less than 50 yards from Broadway village centre and is ideally placed for exploring the peace and tranquillity of the Cotswolds. Its eight individually designed rooms are warm and cosy and furnished to a high standard, with fluffy bathrobes and complimentary toiletries. Our hearty Cotswold breakfasts are prepared from fresh local ingredients. You can enjoy the "olde world charm" of original stone floors and Cotswold stone features, oak and elm beams, an Elizabethan 4-poster bed as well as delightful gardens in which to relax. On arrival guests can be assured of a warm and friendly welcome from Joan and Peter who go out of their way to provide all the comforts of a home from home. All ground floor quality accommodation. Grade II listed. En-suites and lounge. Relax, watch birds, butterflies, wildlife or our free range hens, ponies. Perfectly situated for Hartpury College, Tewkesbury, Cotswolds, Malverns and Forest. Good parking and access. Digital TVs, home cooking. Bridle paths. Excellent eggs for breakfast. Relax in the large garden or walk footpaths to discover the countryside. Full English breakfast, 3 course dinner. Ideal for the elderly or less able, being all ground floor, there are no stairs only two steps into the dining room and one into one of the bedrooms. Largely 17th century farmhouse in a picturesque and peaceful location just outside Broadway and four miles from the old wool market town of Chipping Campden. Beautifully furnished bedrooms with king-size beds, our ground floor rooms are perfect for guests who find stairs difficult, digital TV/DVD, Wi-Fi and other facilities beyond the standard. 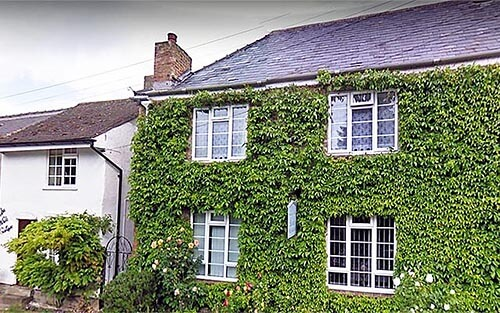 Walking distance to pubs offering food or home-cooked evening meals available. Explore the Cotswolds, with our beautiful hills and countryside and delightful Cotswold stone villages, or Shakespeare country which is right on our doorstep. Relaxed and friendly accommodation in a family-run Tudor cottage full of original features. Close to several pubs and restaurants serving good local food as well as Indian and Chinese food. Centrally-located in Bishops Cleeve which is close to the towns of Cheltenham, Gloucester and Tewkesbury which all have many visitor attractions and wealth of shopping experiences. We offer 2 double or twin bedded en-suite rooms and a twin bedded room with a private bathroom. All rooms have a TV, tea and coffee making facilities and centrally heated in a house full of period features. Garden for the use of guests with bench seating. A working farm in an Area of Outstanding Natural Beauty with panoramic views across to the Malvern Hills and Welsh mountains beyond. Ideal for touring and walking the Cotswolds. Spacious, comfortable rooms. Well off the beaten track, very quiet and relaxing. Three miles east of Winchcombe. The house was built around 1840 as a dower house for Lord Sudley's mother. It has a flag stoned hall entrance leading to comfortable, spacious accommodation upstairs. The house is surrounded by a large garden where guests can have afternoon tea on the terrace in the summer and enjoy the view. In the winter tea is served in front of a log fire. 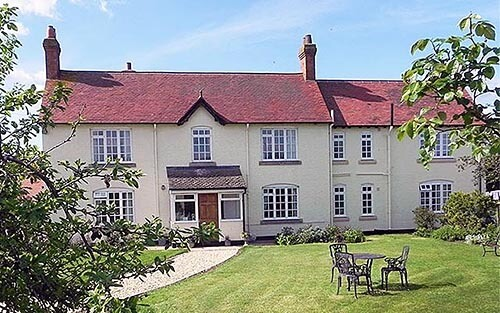 Peaceful former farmhouse, ideally located for Cheltenham Gold Cup, the Three Counties Showground, Birtsmorton Court and one mile north of the historic riverside town of Tewkesbury, near Hilton Puckrup Hall Hotel. Comfortable en-suite rooms with beverages. Large garden. Ample parking. Ideal touring/walking/cycling. Golf, riding, windsurfing nearby. Secure storage for cyclists. The surrounding area contains a wide range of places to eat with traditional pubs and a variety of restaurants and take-aways available. 4 Star Bed and Breakfast. A warm welcome awaits you at Windrush, within a five minute walk from the picturesque village of Broadway. Locally sourced breakfast ingredients. Five comfortable en-suite rooms. Wi-Fi is available throughout the house if you're 'keeping in touch' or you can simply unwind and enjoy the peace and tranquillity. Our large landscaped garden is a haven to chill out in. Open all year, there is ample free parking in our private car park. We market ourselves as a Classical Contemporary Guest Accommodation with an emphasis on 'old time' values. Courtesy, politeness, consistency and competency and the presence of the working owners makes Windrush House stand out from the crowd.